Unemployment insurance provides workers who are unemployed through no fault of their own with monetary payments for a specific period of time or until they find new jobs. Benefits are provided by state unemployment insurance programs within guidelines established by federal law. Eligibility for unemployment insurance, benefit amounts, and the length of time benefits are available are determined by state law. Details on eligibility for state unemployment compensation should be available on the state unemployment office website where you live. The compensation you will receive will depend upon the amount you earned while working, and you also may be required to have worked a certain number of weeks. Regular unemployment benefits are paid for a maximum of 26 weeks, less in some states. In many states, the compensation will be half your earnings, up to a maximum amount. The maximum varies by location. Benefits are subject to federal income taxes and must be reported on your federal income tax return. There are no federal unemployment benefit programs in effect as of 2018. 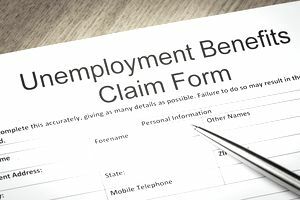 Those benefits, known as an unemployment extension, provide additional weeks of unemployment compensation for the long-term unemployed. Extended unemployment benefits, including Emergency Unemployment Compensation (EUC) and Extended Benefit (EB) programs, were available to workers who had exhausted regular state unemployment insurance benefits during periods of high unemployment prior to 2014. In order to receive unemployment compensation, you must meet the unemployment eligibility requirements for wages earned or time worked during an established period of time. You may be able to collect partial unemployment benefits if your work schedule is cut back. Also, in either case, you must be determined to be unemployed through no fault of your own. If you are an unemployed former civilian federal employees, you may be eligible for benefits under the Unemployment Compensation for Federal Employees (UCFE) program. You can file a claim if you have been separated from your public sector job, placed into a nonpaid status, or transferred to a different payroll office. Filing for unemployment should be the first item on your agenda when you've been laid off. It might take two or three weeks to collect a check, so the sooner you file, the faster you'll get paid. A delay in filing will mean a delay in collecting. You may be able to file online or over the phone. Review the information you will need to open a claim, then visit your state unemployment office to determine the best way to open a claim and to get started collecting unemployment. It generally takes a few weeks after your claim to receive your first benefit check, direct deposit, or debit card. Some states require a one-week waiting period; therefore, the second week claimed is the first week of payment. Once your claim is approved, you should be able to file weekly online, by phone, or by mail. Your state job service offices can be excellent resources to assist with a job search. Many free services are offered, including job listings, career counseling, resume and cover letter writing help, and training. Take advantage of the help they can give you; it will make your job search easier. What is considered suitable employment varies from state to state? However, it generally refers to a job that offers wages comparable to your recent employment and duties that fit your education level and work experience. Other factors include commuting time, as well as any potential health or safety risks to the job. Some states define suitable work as anything related to any secondary skill you have, even if the work is not directly related to your previous experience. For example, in New York, suitable work is defined as a job within one hour's transportation, within 80 percent of the claimant’s previous earnings, and where the pay is the prevailing rate for that work. Also, suitable work in New York is defined as a job for which you are reasonably fitted by training and/or experience. It, therefore, doesn’t matter if the job perfectly fits the duties of your previous job. Other states consider even more factors when defining suitable pay. In California, the unemployment office also considers “the degree of risk involved” in the job, as well as factors such as the person’s physical fitness, experience, prior earnings, and length of unemployment. However, in some situations, the only way to get a definitive answer or clarification is to talk to an actual person. The FAQ sections of most state unemployment websites don't cover all circumstances, and unemployment claims can be complicated. Phone numbers are usually listed in the "Contact Us" section of your state unemployment office website. A quick and easy way to find a telephone number or email address for your unemployment office is to search Google using your state's name, unemployment office, and phone number. For example, searching Google for "New York unemployment phone" brings me directly to the contact information page for the NYS Department of Labor's Unemployment Insurance contact page. If English is not your first language, some states have telephone claims lines in other languages. For example, California provides separate phone numbers for English, Spanish, Cantonese, Mandarin, and Vietnamese. If available, information on alternative phone numbers also will be listed on the contact page for the unemployment office. Can You Turn Down a Job Offer When Collecting Unemployment?